However, given the update last week that Google put into place updating the Toolbar PageRank values of websites, that certainly does not seem to be the case. 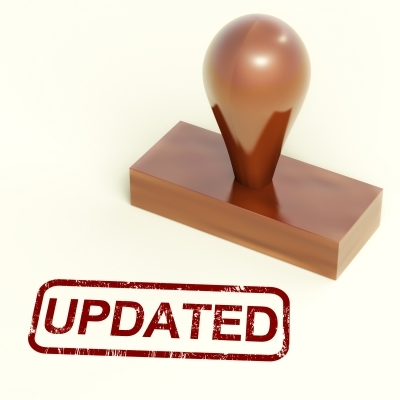 Was your website hit by this update? There are a few things that you can do to bring it back up. You want to let Google and other search engines know what kind of content is on your page and essentially what your page is about. One way to do this is to make sure that you have clear URLs, meta descriptions, H1 and H2 text, meta keywords, title tags, etc. If a page at the URL “webpage.com/cats” is actually about cows, for example, this will be considered not the best user experience. Google likes websites with straightforward and transparent labels. Using a sitemap is another good thing to do. Google likes having an index that basically lays out where everything is on your page. Having links to your website out there on the internet is essential. This basically tells the search engines that your website is popular and the content is valuable. However, if you are out there buying spammy links or low quality links, Google will see what you are doing, and you may get penalized. If your position in the search results doesn’t decrease, your PageRank will. It’s important to ensure that links to your website are natural and on pages that are also high quality. No one likes to sit there are wait for a really slow webpage to load. Users certainly don’t like it, and Google doesn’t like it either. If your page has a negative user experience, that can affect your PageRank, and having a really slow website can certainly be a negative experience. It may be necessary to invest a little money or upgrade your website’s hosting so that you can get a website with a quicker load time. Google is all about the user experience in the end. All the search engines are trying to do is provide the most accurate and helpful information to the people who are searching for it. You want to make sure that your main focus in your website is creating a positive experience for the user. Create great content, make sure your site is loading quickly, and be clear with concise labels and a well-structured site. Don’t spend a lot of time and money buying linkbuilding packages that don’t work. Devote your resources to creating the best web content possible, and people will naturally link to your page. Google will respect this, and your PageRank will go up. All of these points are important, but when it comes to high quality back links, they can’t all be 7 PR and above or it looks spammy to Google. I was told to vary the back links from 1 to 10 PR when I’m blog commenting. Do you agree? I have never bought a link building package, but, I guess, just like anything else, there are good ones and bad ones. Link diversity and link velocity are also important. I have a problem with Penguin with one of my sites and finally got rid of it before two weeks. I cleaned up bad links by asking webmasters nicely if they can remove it. And ones that left I couldn’t get reply back from webmasters I added to the Google’s Disavow tool. This can come really handy but needs to wait like a month to Google to update it.